Your Baby Shower Invitation Could Be Worth 50$ Cash! Win $50 Cash with Your Baby Shower Invitation! CONTEST DEADLINE HAS BEEN EXTENDED TO THE 31st of MARCH! You submit a clear & close-up picture of your baby shower invitation and a short description of what you used and how you made it. Whoever submits the cutest invitation wins 50 bucks! There will be two runners-up who will each win $25 cash. Go to bottom of this page to view an example invitation entry. Submit your invitation by March 31st. All entries will be reviewed by 3 judges and the winners will be posted on March 31st on our homepage and our contest page . You may submit multiple entries, but Remember: Cute is what counts! 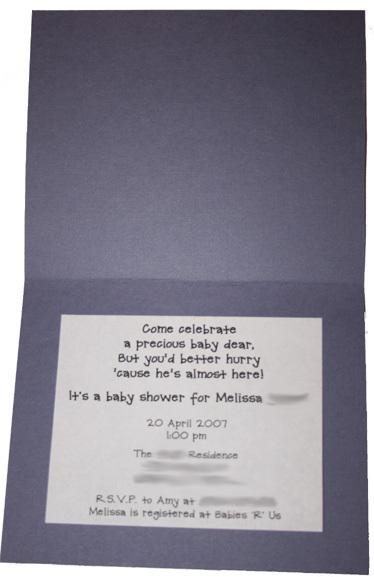 Just 1 Rule, really: Your baby shower invitation must be original - not copied from another source. Step 1. Submit the form below. Step 2. Wait a few minutes for an email to be sent to the email address you submitted with the form. Step 3. 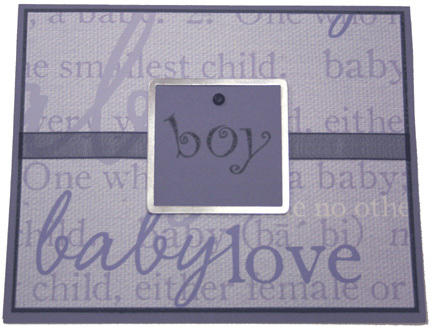 When you receive the email, simply reply to the message with your baby shower invitation pictures attached. Your baby shower invitation photo and description will be posted to the Contest Page within 24-48 hours. The winners will be notified by email and posted on the homepage on March 31st. If the photos you submit have any specific baby shower details on them - like names, phone numbers or adresses, then I will blur them out before I post them on the contest page. By submitting your photos, you grant www.plan-the-perfect-baby-shower.com permission to republish and/or edit your photos & description, as needed. Font Stamp: My Sentiments Exactly! Note: You do not need to include the inside of your invitation if you do not wish to. If you do send a picture of the inside, I will blur out any personal details, as shown above.